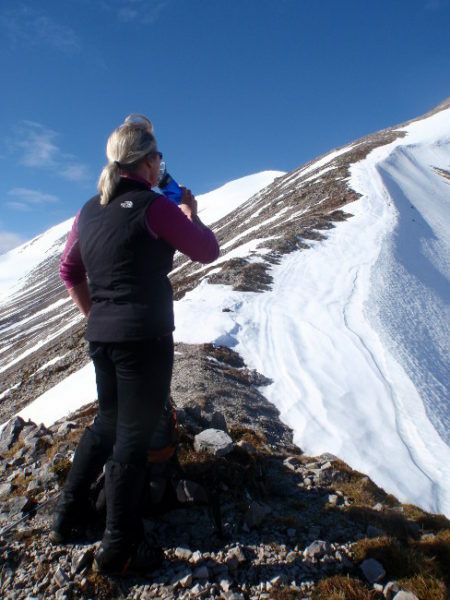 Mountaineering Scotland will again be hosting a series of safety evenings this winter. Heather Morning, Mountaineering Scotland’s Safety Advisor, will share her beautiful photography, videos, personal anecdotes and adventures, while discussing essential skills for winter navigation, avalanche awareness, route choice, equipment, mountain weather and much more. With a lifetime’s experience in the mountains, Heather has been a professional mountaineer for 25 years and was a member of Cairngorm Mountain Rescue Team for 16 years. These entertaining and informative evenings will be held on the following dates and locations. Dates in Aviemore will be confirmed in due course. In the meantime if you’re heading to the hills check out the information on winter skills and safety here. Many people have benefitted from a professional day or weekend learning and practising winter skills, why not check out the many guides offering these winter skills courses in Scotland here.